I saw this on Yahoo! I will do these someday. With summer around the corner, the open road beckons. In that spirit, we present our favorite American road trips from the West to the East. Some are well-known destinations and others are off the beaten path. Several are steeped in history, while a few pursue remote, wild beauty. Best of all, most of these routes make for splendid drives all year long, so you can get out and explore their bounty whenever the mood strikes. So rev your engines . . . and hit the road. Although old-time Appalachia has been immortalized in song, these days it can be difficult to locate that haven of rolling hills and wildflowers. The Blue Ridge Parkway, which stretches 469 miles along the southern Appalachian Mountains and links two national parks – Virginia’s Shenandoah and North Carolina’s Great Smoky Mountains – hits all the right notes. Drive the entire length if there's time (but remember the speed limit is 45 mph in most parts). For a shorter jaunt, fly into Asheville, N.C., and follow the parkway north for about 2 hours to Boone. Not a single interstate crosses the parkway. Instead of gas stations and motels, it’s flanked by picnic areas and hiking trails lined with dogwood, tulip trees, and red maples, with the mighty Appalachians as the backdrop. Highlights include Grandfather Mountain, a U.N.-designated International Biosphere Reserve, and the gardens and winery of the magnificent Biltmore Estate, a 19th-century Vanderbilt château near Asheville. Most sightseers do this road trip in spring and fall for the wildflowers and foliage, but the summer brings fewer cars, and the breezy, dry weather is near perfect. 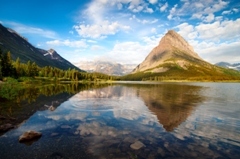 In an epoch of climate change, it’s more satisfying than ever to make a pilgrimage (albeit by car) to witness the awesome beauty of glaciers in idyllic northern Montana. In Glacier National Park, the Going-to-the-Sun Road runs east to west for 50 miles. Take at least half a day to drive it in early June or just after Labor Day for the most unencumbered backcountry tour. Although the park stays open year-round, parts of this road trip route close from mid-September to mid-June. In July and August, when the route is beleaguered by traffic and maintenance work, jump on the free and eco-friendly shuttle bus. The Sun Road, as it's also called, crosses the Continental Divide at a breathtaking elevation of 6,646 feet (keep an eye out for mountain goats and bighorn sheep) and passes by Jackson Glacier Overlook, which, as the name suggests, is a good place to spot glaciers. A huge feat in engineering when it was created 76 years ago, the parkway includes portions carved into a sheer vertical cliff known as the Garden Wall. On the side of the road, the valley lies thousands of feet below. Driving Maui’s serpentine Hana Highway on the rural east side of the island provides a feel for Hawaii’s early days, when wild beauty and sleepy surf towns ruled. 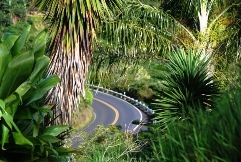 The famous road, also called the Road to Hana, starts in the town of Paia (about a 40-minute drive from Maui’s more developed southwest area) and wiggles east along the coast for more than 60 miles. The road trip's entire length can be traveled in about 3 hours but it’s better to allot at least a day to take in the rain forest setting (and allow for traffic). Rent a convertible, slather on sunscreen, and start before dawn to catch the sunrise. With the route incorporating some 600 hairpin curves and dozens of one-lane bridges, the driving is as taxing as the sights are stunning. Leave some time to check out a few of the following: Keanae Arboretum, with an exotic botanical garden; Waikani Falls, a trio of crashing chutes; and Ka’eleku Caverns, an ancient site created from lava flow. Turn around at the peaceful village of Hana or, for the real finish-line reward, continue further to Haleakala National Park to camp among vegetation that grows nowhere else in the world. Near Telluride but worlds away, a 24-mile stretch of U.S. 550 takes visitors back in time to when the West was still wild (the road trip conditions are not for the faint of heart). Connecting the old mining towns of Silverton and Ouray in the San Juan Mountains of southwestern Colorado, the Million Dollar Highway traverses the Uncompahgre Gorge to the summit of Red Mountain Pass, where a series of hairpin turns – sans guardrails – flank stomach-churning vertical drops. The countryside, decked in wildflowers during the spring, sustains elk, mountain goats, black bears, and deer. In the tiny towns of Silverton (a National Historic Landmark) and Ouray, Victorian buildings from the 1870s evoke the frontier era. Although the Million Dollar Highway is short, budget a day for it – all those twists and turns take time. While the city of Sedona’s growth may have resulted in a bit of a commercial sprawl, its captivating rock formations still stand guard right outside town on the Red Rock Scenic Byway, a 7.5-mile little slip of road trip heaven. 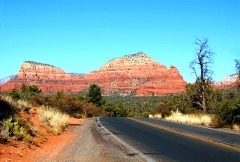 Also known as Route 179, it starts in Sedona and runs south, ending at Interstate 17 near Rimrock. Clearly marked trailheads and off-road bike paths are scattered along the way, so bring hiking boots or a mountain bike. Spend at least half a day exploring the red rock formations (many named after objects they resemble, like Bell, Cathedral, and Snoopy), which seem to change shape and color with every shift of light. Most of the drive cuts through the diverse Coconino National Forest, full of hills and washes covered in yucca, juniper, cacti, and piñon pines. Hawks and eagles swoop overhead and elk, deer, coyotes, and quail roam the terrain. Look familiar? In the 1940s and ’50s studios shot many Westerns here, including Broken Arrow with Jimmy Stewart. Island hopping along the Georgian coastal barrier islands provides a glimpse at historic blue-blood enclaves that also beckon birders and naturalists. Over a long weekend, gain an introduction to intriguing island outposts, connected by causeways and bridges, and, in some cases, only reached by ferries. Start this road trip in Savannah and head about 2 hours south on coastal Route 17 to Brunswick, the area’s gateway. Drive over the causeway to St. Simons, one of the four Golden Isles along with Little St. Simons, Sea Island, and Jekyll. The largest of the populated islands, upscale St. Simons is known for its golf courses and historical sites and a long, white-sand public beach. Bird watchers should head to Gould’s Inlet on East Beach for sightings, in season, of laughing gulls, royal and caspian terns, red-throated loons, or painted buntings. Sea Island, accessible by car from St. Simons, is synonymous with the Cloister resort, the ne plus ultra when it comes to Southern luxury. Even if you’re not staying at the resort, it’s worth visiting the island to cruise Sea Island Drive, lined with impressive Spanish Mediterranean-style mansions. To reach Jekyll, return to Route 17 on the mainland and turn east on the Jekyll Island Road (Route 520). Once a playground of Rockefellers and Pulitzers, Jekyll today is the stomping ground of leisure travelers who frequent its pristine beaches and golf courses, as well as marshes and maritime forests. Head to the south end for the best birding, or take a guided walk to view nesting loggerhead sea turtles. 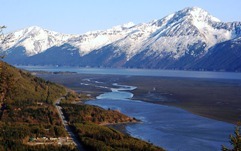 An easy way to enjoy a cross section of Alaska’s massive beauty is to traverse the 127-mile Seward Highway that links Anchorage to the tiny portside town of Seward on magnificent Resurrection Bay. This compact swath encompasses boreal forests, mammoth glaciers, and majestic fjords. Starting in Anchorage, where it’s easy to rent a car at the airport, the road leads south across the Kenai Peninsula, hugging the base of the rugged Chugach Mountains and overlooking the Turnagain Arm of Cook Inlet as it winds past waterfalls and wildlife. Try to spot grazing Dall sheep on the cliffs, beluga whales in the waters below, and eagles and numerous seabirds above. The road trip can be done in 5 hours, but take two leisurely days and stop en route at the Alaska Wildlife Conservation Center or pan for gold at Crow Creek Mine. In Seward, tour the nearby Kenai Fjords National Park, a singular wonderland of fjords and glaciers. 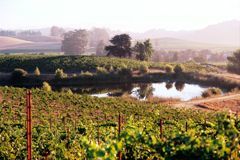 Road trips through the neighboring valleys of Sonoma and Napa can be an entirely chichi experience, but there are also historic spots and quiet nature alongside the luxury standouts. To combine the best of both worlds in one long weekend, rent a car in San Francisco and go an hour north on U.S. 101 toHealdsburg, a sophisticated Sonoma hub brimming with tasting rooms and top restaurants (for a splurge, try Cyrus). Next, head further north on 101 to Lake Sonoma for a leg-stretching hike. Then take Route 128 southeast into Napa Valley and stop in Calistoga, to soak in a mud bath or check out the Old Faithful Geyser of California, which shoots up water every 30 minutes. From Calistoga, cross over to the Silverado Trail, a lovely meander south (roughly parallel to Route 29) past some of the area’s most notable wineries including Phelps, Mumm, Stags’ Leap, and Clos Du Val. Take Route 29 at Oakville (procure picnic supplies at the gourmet Oakville Grocery Co.) or in the restaurant mecca of Yountville. Further on, merge onto Interstate 80 and return to San Francisco. In August, when the masses descend on Vacationland, Route 1 is a parking lot winding through a million small towns with schizophrenic stoplights. But in early summer and fall, road trips here offer an unobstructed front-row seat to the state’s hardy coastal beauty. Start this weeklong tour of Maine in its south, in the town of Kittery. Drive north through laid-back, gay-friendly Ogunquit before reaching posh Kennebunkport and its seaside mansions (for an unforgettable meal, try the renowned White Barn Inn). Then head to foodie-friendly Portland and eventually Freeport, home of quintessentially Northeastern clothier L.L. Bean (open 24 hours). Further north – or down east, as they say – the landscape turns desolate within the blueberry barrens of Washington County and the sights become more ruggedly striking. Don’t miss the reversing saltwater falls, a natural wonder that results from the area's strong tides, near West Pembroke. Sometimes this can be observed in utter solitude. The trip ends in the tiny city of Calais at Canada’s border. This is one of the best videos I've seen in a while. This little girl is so cute. I just took a trip back to Chicago to visit my brother and his family and my friend Deanna. I've been wanting to take a road trip so I decided to drive and I loved it. It didn't give me as much time there, but I loved being on the road and loved having some time to myself. It was very relaxing, but it's not a drive I would want to make very often. For any of you who have driven through Nebraska, you know how extremely monotonous that drive is. I decided to try and make the trip home without stopping for the night and I made it. Barely! I got a little sleepy in Wyoming, but caught a second wind that sustained me until I got back home. 19 straight hours of driving! I don't suggest it. I didn't sleep well that night either because I felt like I was still in the car. It was so good seeing my brother Bernell, his wife Irene, and my niece and nephews Caitlin, Andrew, and Matthew. 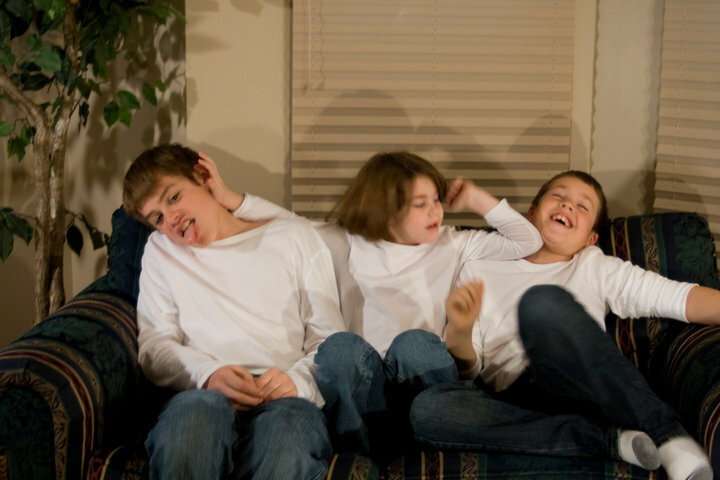 They are an awesome family and I wish so much that they didn't live so far away. I've always looked up to Bernell. He's a great brother. He's extremely patient, kind, genuine, and has an awesome sense of humor. He even liked having my twin brother and I hang out with him and his high school friends. He's 9 years my elder so I don't think that is typical of most older brothers, but I loved it when he invited us to go with him. I think one of the most tramatic experiences in my life was when he left on his mission. I vividly remember being in O'hare Airport bawling my eyes out. I even remember seeing another man watching us; probably wondering what in the world is making this family cry so much. Now he and Irene have the coolest kids. I'm a sucker for my nieces and nephews. Caitlin especially has me wrapped around her finger. She is such a funny and smart little girl. She is seven years old and I wish she could stay this age forever. I don't look forward to when it isn't as cool to hang out with Uncle Dale. But for now, I will soak up all the attention I can get from her. She did the cutest thing on the morning I left to come back home. She came downstairs to wake me up so I could see them off to school and say goodbye. I was lying in bed talking to her, still in a sleepy haze, when out of the blue she leaned over and gave me a hug. So cool! It was great seeing Deanna as well. Her birthday was on Friday, April 30, so after I got a much needed haircut and head massage from her, we went downtown to eat dinner and then walked around for a bit. On Saturday, we went to Medieval Times. Awesome! We even dressed up. Oddly enough, we were the only people dressed up besides the actors. Our knight was a pansy and had to be killed first. I was OK with that because he kept giving creepy smirks to our section whenever he rode by on his horse. Here we are after we got home. Yes, we're holding an AK-47 and an AR-47. No, we did not take those with us. My brother went up to Wisconsin that morning to go shooting so he arrived home just before we did so the guns hadn't been locked up yet. Andrew is holding a picture of him posing like this in overalls. Classic. Here's Caitlin laying the smack down on her brothers. The two below are of her sporting a new dress her grandma bought in Ireland.